Whether you’re concerned about an earthquake in Haiti, a super typhoon in the Philippines, or an epidemic in Africa, global disasters are a fact of life. Some strike without warning while others are predictable. In either case, emergency preparedness can save lives and reduce losses. Whether you are involved in a non-profit organization or are serving on an international emergency preparedness planning committee, international conference calling can be used to communicate with others around the world before, during, and after an event. As with any major undertaking, a successful emergency response often results from extensive pre-emergency planning. While you have many communication and collaboration tools available in the emergency preparedness planning phase, global conference calls are an affordable, real-time choice that do not require any special technology or equipment. In fact, you can get no contract, pay-as-you-go access to exceptional international conference calling services. Once you’ve signed up for an international conference calling plan, collaborating with other emergency response coordinators around the globe is a simple matter of dialing into a “conference room.” Each participant dials a phone number that’s local to their specific countries to access the global conference call. Depending on how your particular international conference calling plan works and your preferences, these international access numbers might even be toll free numbers. From there, each participant is prompted to enter the conference’s PIN number which then connects them to the call. One of the benefits of using international conference calling is that you can record the calls and make them available to other participants afterward. For example, if a key team member can’t attend the call at the time, he could listen to it after the fact and receive the same information the rest of the team received earlier. While high winds, driving rain, floodwaters, and other perils wreak havoc on an area, it soon becomes apparent that it’s time to implement your plan. Unless you’re in the midst of the catastrophe, you can begin to mobilize your team by using international conference calling services. In the case of a hurricane or typhoon where there’s usually a few days’ warning, you may want to schedule your global conference calls in advance to check in with the team periodically and start taking action. In other cases, your global conference calls will need to take place on an impromptu basis. This is where an international conference calling service’s “moderator dial out” or automated dialing feature comes in handy. These features allow you to preprogram a group of participants and their phone numbers into the international conference calling system. When you need to hold an emergency conference call, there’s no need to send out email invitations and hope your participants receive the message and are able to dial into the call at the last minute. Instead, you initiate the global conference call and the system automatically dials each participant at the phone number you’ve already programmed in. Global conference calls are also useful in the aftermath of an emergency as many of your team members will be traveling to and from the disaster site. In fact, some of your team members may find themselves in countries with substandard telecommunications networks or excessive international long distance costs during an airport layover. Not only can you issue these team members local or toll free numbers to use to access your global conference call from these countries, their calls will be routed over your international conference calling service provider’s reliable, high quality telecommunications network. It’s important to note that international conference calling works with all types of phones including satellite phones. If the local telecommunications infrastructure is damaged, as it often is, satellite phones are a must. If you are on a humanitarian mission, you may even want to use your satellite phone in conjunction with international conference calling to help local survivors call their family members around the world. With a toll free international conference call, each participant is assigned a toll free number to dial from their own country. 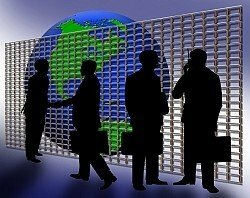 Selling products and services to businesses located in other countries, by its nature, is more complicated than selling to a business located closer to home. While you may have the resources to travel occasionally or hire an in-country sales representative, there will be times when you need to pitch a new offer personally or intervene to close the deal from afar. Hopping on an airplane is an option, but it’s a costly one both in terms of money and time. International conferencing is a robust alternative that will save you both. International conferencing is a teleconferencing service designed specifically to accommodate international participants. Access numbers to the teleconference are either local or toll free to each individual’s country, and call quality is exceptional despite extended geographic distance. Using international conferencing is easy for the moderator and participants alike, and it’s appropriate for any number of sales scenarios. In general, consider using teleconferencing after you’ve warmed prospects up. In other words, it’s not the best choice for cold calling. 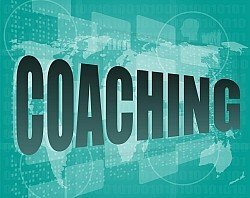 Use other methods to warm the prospect up and schedule an extended sales consultation via international conferencing. 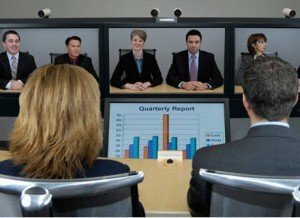 Teleconferencing is also suitable for introducing new products and services to existing customers, presenting progress reports, receiving feedback, resolving issues, and holding international focus groups. You can also use global teleconferencing in conjunction with a face-to-face meeting with local sales rep from your company. For example, if your local representative needs support or additional information, holding international conferencing could be an excellent choice. After determining that international conferencing is an appropriate choice, the next step is to determine who needs to be on the phone call. In the example above, your local sales rep, the customer, and you would come together in an international conference call. Do others need to be available? Are there other decision makers that need to be convinced? Are there other individuals from your company who can better explain your product’s unique features? Would it be helpful to have a translator present? Take the time to determine exactly who should be present in advance as you will later need to schedule the teleconference around the participants’ hectic schedules. Because of time differences and other factors, some participants may not be able to attend the call live, so identify the key players who absolutely need to attend and those whose presence would be helpful but not essential. When it comes to international conferencing, you have two choices as far as international access to the teleconference goes: toll free or local access numbers. In a sales environment, toll free access is crucial. Not only does a toll free number reassure your customers and prospects that they will not incur expensive international long distance charges, it looks professional. A toll free number shows that you’re serious about taking care of your customers. It also conveys the feeling that you do not want to inconvenience them. In addition to providing a no-cost means of attending your international conference call, toll free access also makes it much easier for your international attendees to place the call. As you likely know, dialing conventions vary from one country to the next, making it confusing to place a call to another country. With a toll free international conference call, each participant is assigned a toll free number from their own countries. The number is immediately recognizable as being toll free and it’s familiar looking because it follows that country’s dialing conventions. Attendees do not need to think twice about dialing the call, nor will they need operator assistance. Once you have determined the purpose of the call, who needs to attend, and that you want to provide toll free access, it’s time to schedule the actual event. Use your list of participants that you identified earlier and write down which countries they will be calling from. Use a world time zone map or other tool to identify the time zones of each attendee. Once you have the various countries and their time zones identified, look to see if there’s any particular time that you can schedule the call during business hours for all attendees. In many cases, this will be impossible due to geography, but in some cases it’s doable or nearly doable. Because the call involves a customer or prospect, make sure to schedule the call so that it is most convenient for the customer or prospect. Ask your customer what time works best out of a short list of suggested times and then schedule the call around the customer’s choice. If this means that you need to set your alarm clock to wake you up at 3:00 AM in order to accommodate an international customer, then that’s what you’ll need to do. Schedule the call, distribute the call’s details to each participant (including time and date in local time, toll free access numbers, and PIN code), and prepare for the teleconference. Finally, the time has arrived. Use the features of your international conferencing plan to enhance the call. For example, if some of the participants cannot make it to the teleconference, use the plan’s call recording feature to record the call for later. Another useful feature to be aware of is muting. At the beginning of the call, instruct attendees how to mute and unmute their phones to eliminate distracting background noises. If someone forgets, you can manually mute a line using your live conference management tools. If you need technical help at any point during the teleconference, take advantage of operator assistance as needed. This allows you to return your attention to your customer while the operator assists you or other attendees. 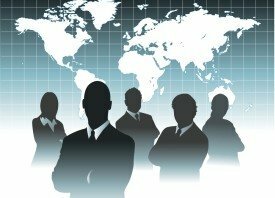 International conference calls can quickly and easily bring together a diverse group for sales presentations, customer feedback, progress reports, focus groups, and other sales scenarios. It’s a cost-effective choice that saves both time and money while allowing you to communicate in a more personable manner. International conference calling is an important tool for healthcare providers around the world. Whether you’re a hospital administrator, doctor, nurse, dentist, chiropractor, researcher, insurance professional, or lab technician, international conference calling allows for cost-effective global collaboration no matter where you, your patients and your colleagues happen to be located. International conference calling is conference calling for participants located around the globe. While your facility may have a sophisticated phone system with conference calling capabilities, international conference calling brings its own set of challenges that your hospital PBX is not likely set up to handle. For example, if multiple participants are located in different countries, many will have difficulty dialing an international phone number. International long distance fees may also be a concern, potentially stopping some participants from calling. While you could give participants your toll free number, it won’t work internationally, eliminating that as an option. With international conference calling, these issues are handled. First, you’ll need to sign up for an international conference calling plan with a telecommunications service provider. Don’t worry, international conference calling plans are available on a pay-as-you-go, no contract basis with low per minute rates to hundreds of countries. Once you have a plan, you can set up international teleconferences easily using an online account management dashboard. Simply select a time and date and schedule the call. You’ll be given a list of international phone numbers to distribute to attendees. If you opt for a toll free international conference calling, each participant can dial a toll free access code that will work in their countries. No matter which international phone number each participant is given, all will be connected to the conference calling “bridge” where an auto attendant will prompt them to access the conference call’s PIN number (which will be provided to them with the phone number). From there, your international conference call begins. Is Conference Calling Still Relevant in the Instant Messaging Age? Conference calling is a tried-and-true technology that continues to be relevant despite instant messaging, email, and video chats. There’s no need for anyone to use a computer in order to participate in a teleconference. In some countries, your colleagues may have limited access to the Internet, making Web-based conferences impossible. In addition, if you intend to hold a conference with a large group, using conference calling is the easiest option that can accommodate a huge number of participants. Consult with specialists – Do you have a patient with an unusual condition? You could hold an international conference call with leading specialists from around the world and get your questions answered. Likewise, if one of your patients is overseas and suffers a medical emergency, you could consult with his or her doctors as needed using an international teleconference. Hold training sessions or workshops – Teleconferences are a great way to exchange knowledge. 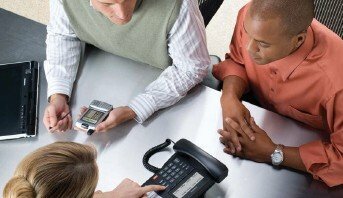 Whether you need to discuss new medications, sales techniques, practice management concepts, or insurance billing, an international conference call could be an effective medium for bringing a diverse group together. Collaborate with healthcare professionals around the world – Traveling to other countries and touring healthcare facilities has its value, but it also has its costs both in terms of time and money. 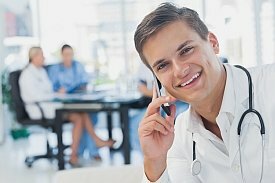 By using international conference calling, you can continue learning about other countries’ healthcare systems in an intimate, but less expensive, setting. Speak with other researchers – Compare notes with other researchers no matter where in the world they may be. Whether your colleagues are conducting field research or you want to reach out to other experts, holding an international conference call is a cost-effective way to connect with others. 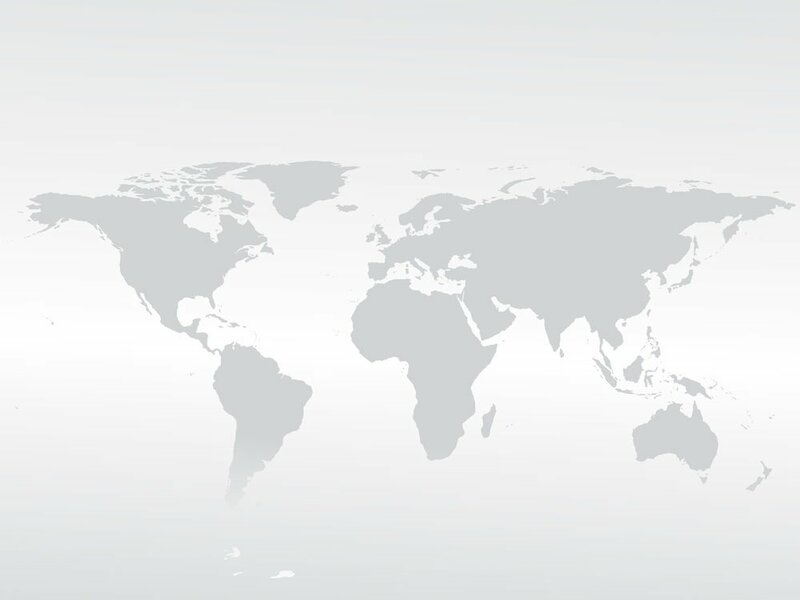 Stay connected with your team when traveling beyond borders – Whether you’re in Haiti on a humanitarian mission or in Italy on vacation, international conference calls allow you to speak with two or more team members from around the world. Not only can you use international conference calling for global collaboration in a variety of scenarios, you can also record your teleconferences for future reference or use. You could use MP3 recordings of the call to refresh your memory, have the recordings transcribed, or make them available to your colleagues as appropriate. Recordings are also useful for training-related conferences because everyone can hear the same material both now and in the future. Using an international conference call is easy, cost-effective, and beneficial to healthcare professionals who need to communicate with others around the world. How will you put international conference calling to good use? Do you need to brainstorm ideas, go over project work, or introduce new products to a group of two or more people around the world? With the help of a low-cost international conference call, global collaboration is a simple matter of dialing a local or toll free number, entering an access code, and speaking with your collaborators. Not sure you need an international conference call for global collaboration thanks to your phone system’s conference calling feature? While many corporate phone systems have complex PBX systems loaded with calling features, including conferencing, challenges arise when your collaborators are located around the world. For example, if your main phone number is an American 800 number, your collaborators located outside of North America won’t be able to connect using that 800 number. Sure, you could give them the standard local phone number to dial, but it will be unconventional looking to international callers accustomed to their own country’s dialing conventions. Plus, your callers will likely be concerned about the potential long distance costs they’re likely to incur. 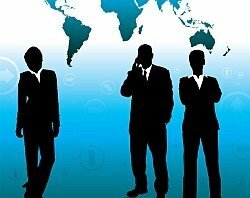 With an international conference call – global collaboration plan, you can overcome these challenges. With an international conference call, each country involved in the call a unique phone number for participants to dial into the conference. For example, your participants located in Italy will dial either a local Italian phone number or a toll free number for Italy while your participants in India will dial an Indian local phone number or toll free number for India. 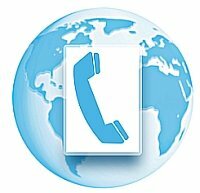 Local or toll free access depends on how you set up your international conference call. Global collaboration using local numbers is one option. However, participants could still incur toll charges when dialing a local phone number in their country. For example, in a large city such as Los Angeles, dozens of calling regions exist as do multiple area codes. Simply ordering a Los Angeles phone number doesn’t guarantee that it will be local to your Los Angeles participants. 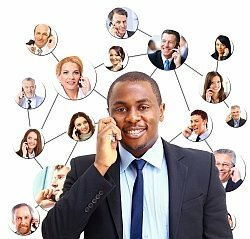 With that in mind, most businesses opt for toll free international conference call – global collaboration plans. There are hundreds of toll free access numbers to countries around the world. If your international conference call – global collaboration plan does not have a toll free number for one of your collaborator’s countries, an easy workaround is available: moderator dial out. Moderator dial out allows you to dial a given participant, or group of participants, directly. Their phones ring and they are connected to the international conference call. Global collaboration really is as easy as that! As the host of the international conference call, global collaboration costs are billed to your account. In general, you will incur costs on a per participant, per minute basis. Per minute rates vary based on the country of each participant. For example, rates for callers located in the United States will be much lower than for callers located in the Philippines. Another factor that influences the rate charged for a given participant is whether or not the caller dialed from a mobile phone or landline as calling costs for the different phone types can vary. You can look up international conference call calling rates to get a better idea of how much you will pay per minute for each caller based on the caller’s country. From there, you can estimate the cost of your overseas conference call if desired. The cost of your international conference call is far less expensive than holding a face-to-face meeting. Holding an international conference call meeting is much easier, too. With a low-cost international conferencing plan, you can collaborate with others as needed with minimal hassles and dramatically lower costs. Virtual teams are made up of team members who typically work independently of one another. Some team members may work from home while others might work in various branch offices. Some may even belong to other companies. For example, a virtual team of volunteers coordinating a charity even may have team members from multiple organizations. While face-to-face team or committee meetings are often held, they can also be impractical especially if the team is scattered across a large geographic distance. To solve this problem and facilitate communication, many virtual teams use international conference calling. Call recording – By recording the call, individuals can go back and listen to it as needed. In addition, the call recording can be used as “meeting minutes” or be transcribed. Absent team members can listen to the call after the fact. Superiors and colleagues could also be invited to listen to the call after if appropriate. Collaboration and team building – While email solves many communications challenges, it doesn’t necessarily build camaraderie. By holding regular conference calls, virtual team members can get to know each other on a more personal basis. Anytime, anywhere conferences – With a pay-as-you-go teleconferencing plan, you can hold virtual team meetings anytime, day or night. There’s no need to preschedule your conference, allowing you to hold impromptu conference calls as needed. Virtual team members often have conflicting work schedules, especially when working across multiple time zones. While some international conference calls may require some participants to attend at odd hours, they can do so from their homes or other remote locations. There’s no need to dress up, either. If you have an international conferencing plan, you also have a host of features that you may or may not know about. The following four conferencing features are among the most useful. Use them to control the cost of your international teleconference, find out who is in attendance, record your conference for later use, and eliminate background noise. Moderator Dial-out – Moderator dial-out allows you to dial participants directly rather than requiring them to dial into the international conference call. While you may not want to do this for every single attendee, it makes sense to do it for some. For example, dial-out rates are typically less expensive than toll free charges. If a participant lives in an expensive country, it could make sense to dial that participant directly. You can even preschedule dial-out and let the international conferencing plan dial a group of attendees simultaneously. MP3 Call Recording – Recording your teleconference provides you with options later on. For example, you can share your MP3 recording with participants who were unable to attend the live call or who want to re-listen to the call. You could even repurpose the audio by using it as the basis of a podcast or informational product. Attendance Tracking – Most international conferencing dashboards provide you with a real-time display of the conference call – including a list of attendees. Use this feature to document attendance. Background Noise Control – Did you know that you can mute noisy callers? In some cases, you may want only one line open, the line of the person currently speaking. In others, you may want everyone’s line open so that the entire team can brainstorm ideas. While you can instruct everyone of how to mute and unmute their phones as needed, inevitably someone will forget. When this happens, distracting background noises such as computer chimes, ringing telephones, nearby chitchat, and even barking dogs disrupt the conference. The responsible caller may be unaware of the problem (or may even have stepped away from the phone). As the moderator, you can identify the source of the noise and mute it directly from your account dashboard. 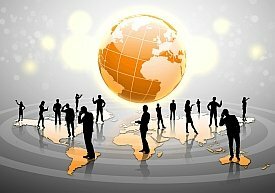 These international conferencing features are easy to use, and they deliver important benefits. Make sure you know how to use them before your next international conference call.